I am very proud to see Swarthmore faculty and students coming together to increase student awareness about the pressing issues of our time. I largely agree with the basic premise of the social justice requirement they are proposing: That an education that does not encompass the pressing issues of our time is incomplete. However, the organizers and I differ on the best way to remedy this problem. When deciding as a community whether or not a social justice requirement of this nature is right for our college, we must first ask the question: Will this requirement help who its proponents say it will? Proponents of the requirement argue that students who are not minorities will greatly benefit from its application. Many of these students are likely to have limited personal exposure to issues such as racism, sexism, transphobia, and other forms of discrimination. The uncomfortable but necessary dialogues that classes regarding these topics would create could be eye-opening. While we would all benefit from a broader understanding of these topics, many students would be less engaged in a class they have to take compared to a class they chose of their own volition. It is not hard to imagine that the students who have the most to gain from being around different perspectives and viewpoints on issues they have little personal connection to would simply not invest in the class. If forced to take any course, they are likely to view it as only a graduation requirement and simply go through the academic motions necessary for a good grade instead of taking the time to delve deeper into the material as they would for a class they truly cared about. Even worse, some students are likely to be resentful of a social justice requirement they had no say in implementing and could leave the course more embittered and more skeptical towards future social justice related initiatives. We must also consider the impact a social justice graduation requirement would have on our Liberal Arts values. While a key part of our values is an interdisciplinary, socially conscious education, an equally important value is that of a unique, personalized academic journey. A course requirement would limit the personal intellectual freedom when making academic decisions that is essential to a liberal arts education. Students already have to meet three divisional requirements, a writing requirement, a P.E. requirement, a lab requirement, a foreign language requirement, and the requirements set by their major in order to graduate. This means that with the social justice requirement, students majoring in certain fields such as pre-med or engineering could effectively have only one class they would be able to freely choose to take for intellectual curiosity. A course/divisional requirement could also hinder another Swarthmore academic trademark: small class sizes. A mandatory course requirement of any kind is likely to overload certain classes and departments and increase class sizes, which is not conducive to an intimate, personalized educational experience. There are also practical matters to take into account. Unlike the divisional requirements, the social justice requirement is narrower, based on a subject and not an academic category, and cannot be fulfilled by a high school AP credit. Since it is hard to measure competence in social justice and since this is such a politically charged subject, requiring students to take a class on social justice for a grade poses a significant risk for students to feel pressure against challenging the material taught in class and in some cases could be tantamount to indoctrination. Additionally, many of the issues this requirement sets out to tackle — racism, poverty, environmental awareness, sexism, etc — have limited applications in a classroom setting and require real-world exposure for full understanding. The personal, emotionally charged discussions that are necessary for full awareness on these sensitive issues are not discussions that should be had for the sake of a grade. More broadly, I see several ethical downsides of a mandatory social justice component. It is somewhat alarming to see my peers express such enthusiasm for dictating what courses other students should have to take. While I personally believe that social justice and current events are very important topics, I am not in favor of requiring other students to feel the same way. 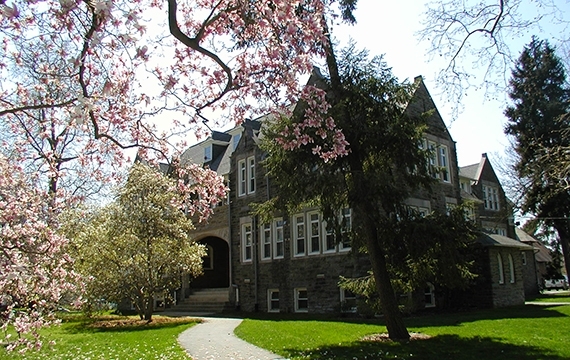 Students pay increasingly high amounts of tuition or receive large amounts of scholarships and aid in order to attend Swarthmore, and making them pay for an extra class they have little to no interest in is rubbing salt in an already tender financial wound. Additionally, call me naive but I do not believe that any current Swarthmore student is intentionally close-minded. Ultimately, we can convince people to expand their knowledge voluntarily rather than forcing them to do so. If your hearts are absolutely set on creating a requirement, then either work with academic departments to make these courses requirements for certain majors/minors and not for graduation or put the question of an academic requirement up to a vote by the student body so that they can have a direct say in what path their education and the education of their future peers will take. As I mentioned in the beginning of this article, all of the principal organizers of this initiative (Bobby Zipp ’18 , Andrés Cordero ’17, Killian McGinnis ’19 , Abby Saul ’19) are amazing, talented individuals whom I admire greatly and I hope that they, and you, will take into consideration the arguments I have outlined here. We are all equally important parts of this vibrant community, and I hope this article is another step towards open, productive dialogue on this matter. Featured image courtesy of www.swarthmore.edu. The idea that a lack of student commitment to the course material is a problem is a strange argument, as it could apply to any required course. The whole point of course requirements is to get them to investigate subjects that they may otherwise have antipathy toward. A much bigger problem is that social justice courses are incredibly poor at critiquing their own content. By prioritizing ideology over standards of ethics and accuracy, so that when conflicts between these arise the deference is given to ideology, they become vessels of the very -isms that they claim to be struggling against. In fact, the current state of the social justice movement makes it even more important that these topics have a wider engagement, so that the echo chamber of poisonous (albeit mostly unintentional…mostly) white supremacy and reactionary gender constructions that have pervaded progressive academia can be disrupted. I completely agree with Ian G’18. Especially, I think his point that social justice is, among others, just an ideology hits the point. You have the right to believe in it or not, just like you have to right to follow communism. I admit I am not a fan of social justice. I’m open to any discussion on it, but making it a course requirement is nonsense. I broadly agree with this article and especially with the proposals that Gilbert lays out, even though I think that more awareness of social justice is a good thing. It is all too easy for us to forget that our social-justice ideology is just that; an ideology. It’s the current vogue of radical-left ideology, just as communism used to be. There’s nothing wrong with that, but it’s also not something that we should be teaching and grading in class, otherwise we’re no better than North Korea’s “Kim Il-Sung University”, which teaches subjects like “Revolutionary Activities of the Dear Leader Kim Il-Sung”, or the reactionary fundamentalists who want to ban the teaching of evolution in schools. The classroom is not the place for ideology, no matter how much I or anyone else may personally identify with it. I strongly oppose any attempt to make a graded social-justice course requirement, especially since such a requirement could very easily hurt the GPA of students who either (a) can’t get the hang of the ideological language or (b) simply don’t share the professor’s views on social justice. This is an inherent flaw with teaching political ideology, and it’s something that I think a lot of us on campus forget, because we are (myself included) so wrapped up in the ideology that we forget that there are still reasonable people who happen to have different viewpoints on some issues. How many of us remember that one of the characters in the welcome play is from a very conservative background? And how many of us promptly forgot the play’s message about acceptance, openness, tolerance, and kindness and proceeded to, for example, sneer at a fellow student for wearing a Reagan shirt? I know that I did, when I first saw said student and said shirt. I was prejudiced because of my hatred of the Republican party and all it stands for, and I almost wrote off a really nice, friendly, guy who loves to read and learn because of my bigoted attitudes towards sports players and the Republican Party. Everybody who’s here is here because they’re really damn smart. Everybody who’s here is here because they have professed an interest in learning more about other people and cultures. NOT everybody who’s here has the same views, or shares the same ideology. Fundamentally, I feel that it is discriminatory and unfair to teach any ideology, be it communism, social justice, “family values”, fascism, whatever the hell North Korea uses, or anything else, in any institution of higher learning. STUDYING and ANALYZING those ideologies as part of a sociology class is, well, part of sociology, but teaching and grading students on their ADHERENCE to an ideology, no matter how noble the ideology is or how much I or anyone else agrees with the ideology in question, is fundamentally morally wrong. Well said. in fact, I wholeheartedly agree with your comment. I think underlying this article is a certain false presumption about students at Swarthmore that is almost disrespectful. There is this theme of “people who are unaware/ignorant of X (not by their own choice/fault) are resentful and will dislike being informed” which I don’t know is true. I think it’s almost disrespectful of people. I think that a social justice requirement very naturally ties into the same values of a liberal arts education and the whole “we can’t dictate what classes people take” isn’t a valid argument given the requirement would likely have tagged a variety of already existing classes that cover such topics. I think there are issues with the requirement and how it will be implemented, certainly, but I think this article missed the mark on highlighting them. I see problems such as certain departments being flooded, not enough inclusion/training of faculty, not enough engagement with social justice in other fields like STEM where social justice issues speckle the history, but aren’t seen as relevant. Even tagging already existing courses as addressing social justice issues will likely reinforce mindsets that social justice is cause for minority populations to rally for, and certain fields of studies to address. Though this topic is more applicable, relatable and on a personal level for some, we are all part of reinforcing socially constructed hierarchies everyday and everyday. Being aware of your position in society, the privileges you do or don’t have and recognises the position of others and the world they are perceiving, either similar or different to your own world, is something that makes us better people, better citizens. It is something that I think any intelligent swattie will be able to recognise and engage with, even at first if they didn’t think at first it was for them. The people who don’t think they have a say in social justice, or don’t think the issues apply to them are exactly the people who need to hear that we ALL have a responsibility to this. Silence is violence, ignorance is dangerous and a more informed society benefits society as a whole.